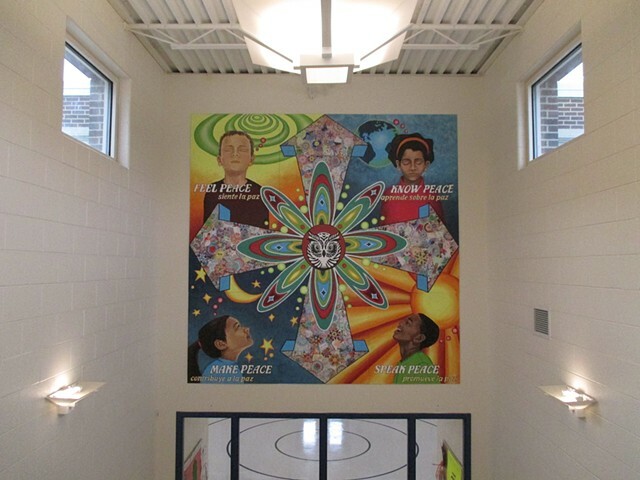 This mural, entitled "Peace Begins with Me", was created in Fall 2014 with 175 students at Willard Elementary School in Evanston. 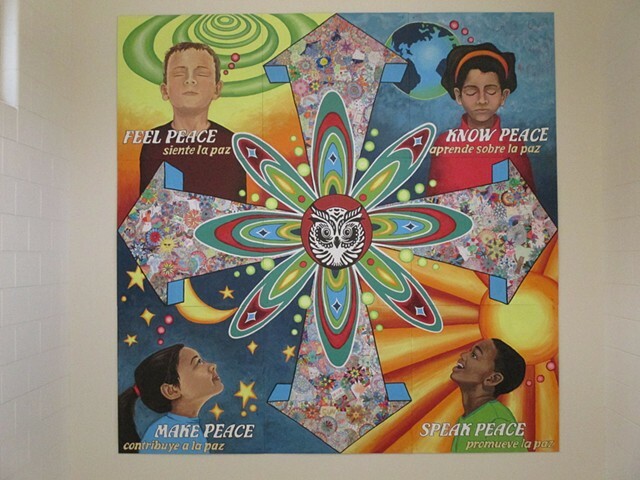 The heart of this mural is inspired by the theme of “peace” and how it is personally felt within each child. The project began with a 5-week workshop in fall 2014. The full 2nd and 4th grades participated in brainstorming and design sessions on the theme followed by collaborative art activities around mandala making, then they prepared the boards for painting. 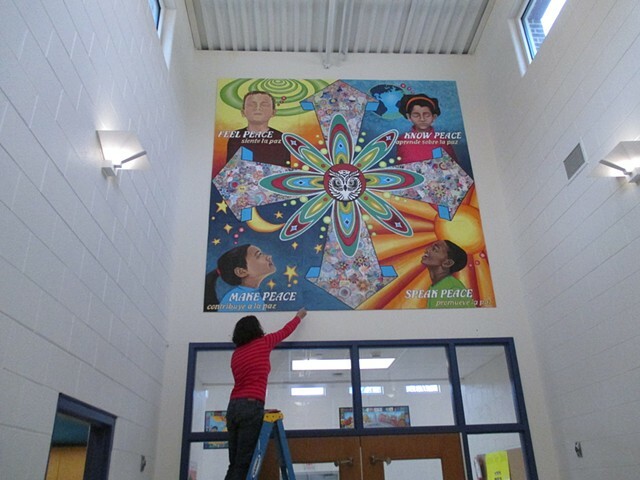 We then synthesized the students’ ideas into a single design, which the students then collectively painted, as well as created personal drawings to decoupage onto the mural. We completed the painting after the workshop weeks. 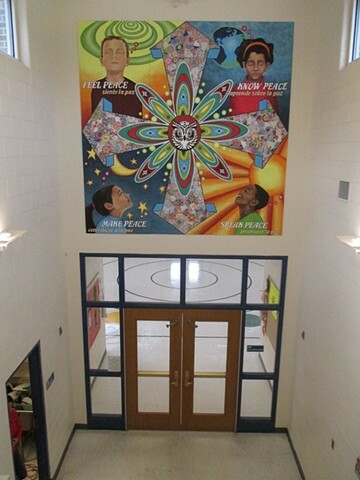 It was installed in the interior hallway main entrance of the school.